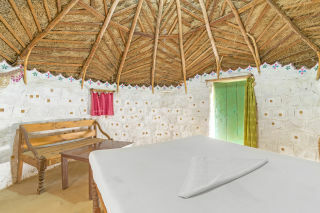 This is an offering of a private room in an old-fashioned rustic cottage. 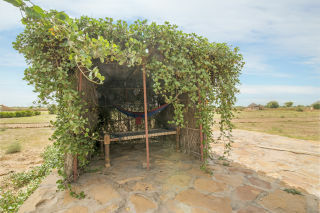 The room can accommodate up to three people and is perfect for backpackers. Parking space is available for those on a road trip. 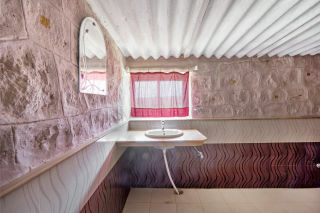 Breakfast is complimentary here, and the services of a driver are available. 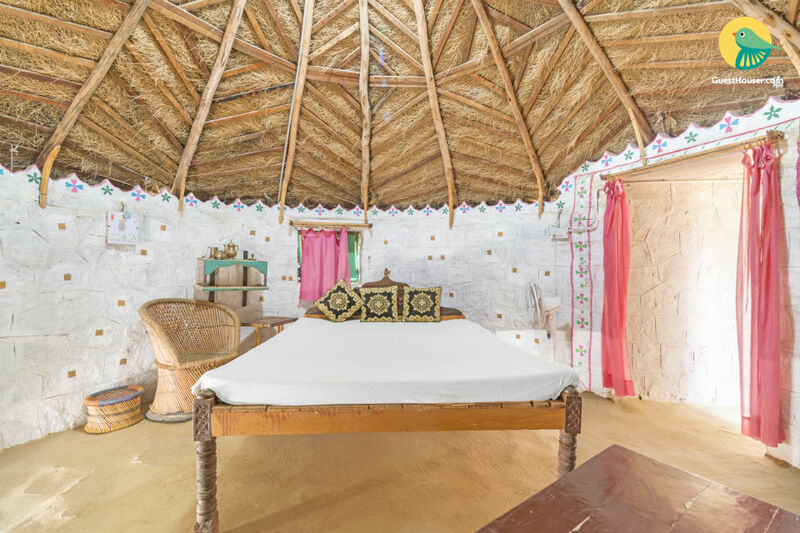 Your Space Sitting in the midst of a sprawling field dotted with greenery, this cottage is all about solitude. 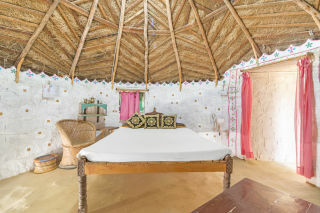 The room on offer features a thatched raftered roof, adobe walls, and skim-coated flooring. 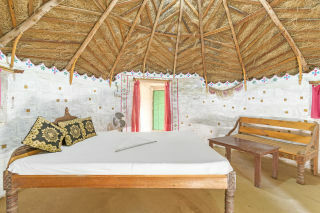 It is furnished with a double bed, a cane armchair with a footstool, and a table with a bench. 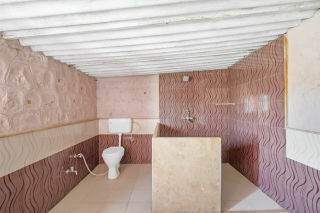 The spacious en suite bathroom is tiled and appointed with western sanitary ware.